Detox your body of stress and tension, fear, disharmony, anxiety, pain or fatigue using the healing power of Reiki. Rei means universal, spirit, mystery and gift. Whilst Ki can be translated as energy, life force, feeling. Combined, the two words represent universal life force energy. Reiki energy is the healing energy of the universe, which surrounds us. Reiki is an ancient healing art with its origins in Japan. It is a gentle hands on healing which heals body and mind. 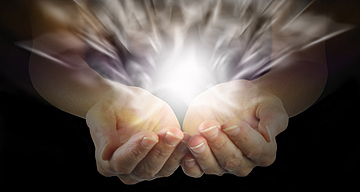 Reiki healing energy is transferred from the practitioner to the recipient via the hands. The recipient acquires a natural boost of life force energy, via the practitioner giving the treatment. 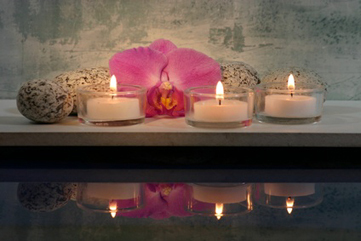 In this way the healing energy is able to calm the nervous system, and restore the recipient’s body, mind and emotions. The Reiki practitioner is merely a vehicle for the healing energy to pass onto the recipient. The healing energy stimulates the individual’s own healing capacity. Detoxing the body of stress and tension is vital to maintaining health and well being. Whether you feel stress as a physical tension or as a mental or emotional stress, Reiki is instantly calming. It raises the body’s vibration to that of health and balance. By increasing one’s vibration, so in turn one’s health and well-being is improved. Over time the body becomes more resilient to stress, so an individual can cope better with daily stress and challenges. Reiki can be applied to the whole body as well as to a specific area of concern where there is injury or illness. It is also employed to soothe and release negative emotions. Regular Reiki sessions also enable a person to heal faster, fight off infection and maintain their equilibrium. It is an effective and safe tool for de-stressing on a physical and emotional level. This results in positive outcomes to various life challenges.